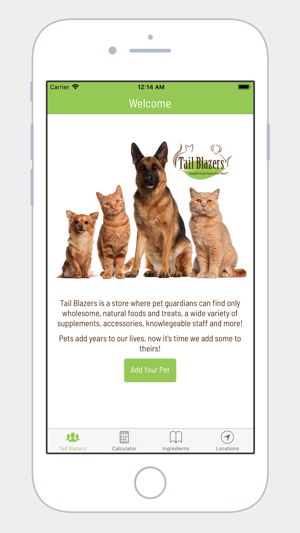 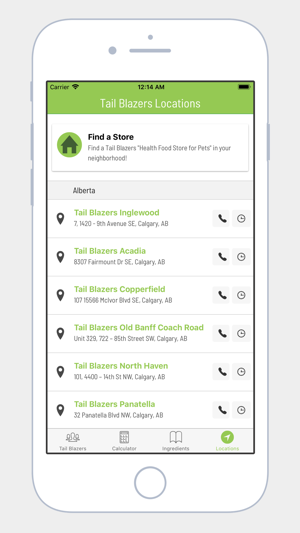 Tail Blazers Health Food Store For Pets is a store where pet guardians can find only wholesome, natural foods and treats, a wide variety of supplements, accessories, knowledgeable staff and more! 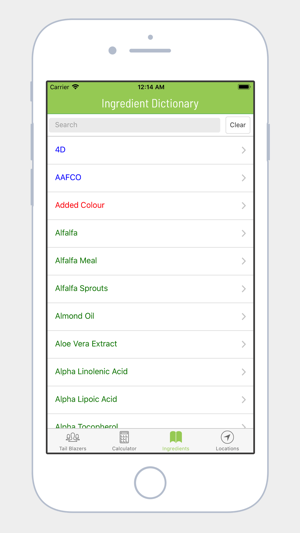 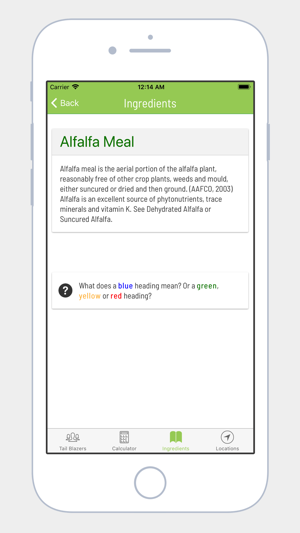 This app features an extensive pet food ingredient dictionary to help you choose a healthy food for your dog or cat, and a raw food “how much to feed” calculator. 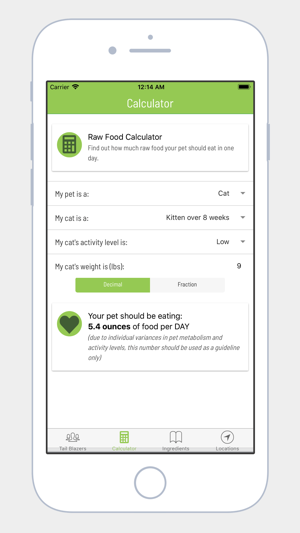 Pets add years to our lives, now it's time we add some to theirs!